The next day , I got another letter. We got a WINNER. 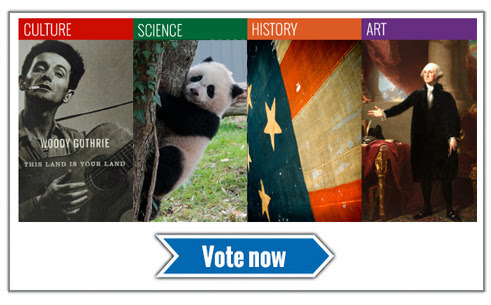 There were over 90,000 votes cast and the winner was BAO BAO , THE GIANT PANDA CUB from THE NATIONAL ZOO. Chuck Berry's 1974 red Cadillac convertible and others. There are only 1,600 pandas left in the world in wildlife. Of course, she is cute. when i.e. Red Panda (Ursus maritimus) is considered by the same organization vulnerable. 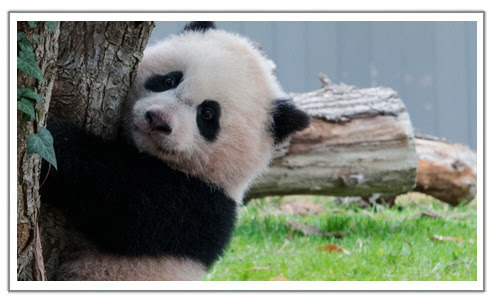 This is the last photo of BAO BAO, that Yoon dropped in my email. She certainly looks very pleased and happy. 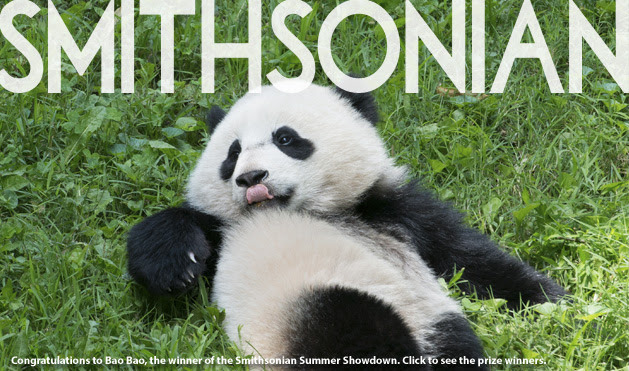 Panda Bao Bao, a winner of Smithsonian Summer Showdown '2014 is representation Smithsonian in "life". She is " LIFE" that has to be nurture. She is not going to be study and watched in glass cabinet, that protects from dust. She IS LIFE and we are going to watch her grow.What a pleasure! Maybe it is good that I lost. 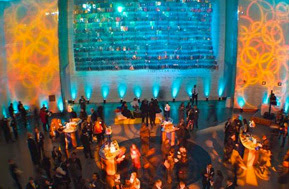 Something more important than relic, or other ancient artifact was pointed to me and in BAO BAO I am render a SYMBOL of life itself. She needs special recognition as one of the endangered animals. Bravo Bao Bao.